Some medical devices are complex, others are simple, but not easy to explain, and then there are ones that have advanced technology not visible to the naked eye. 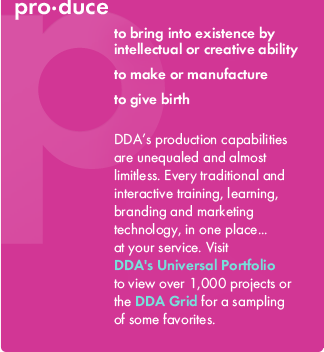 At DDA Medical, regardless of what your medical device is or does, we have the simulation technology and the solutions to make training a breeze. 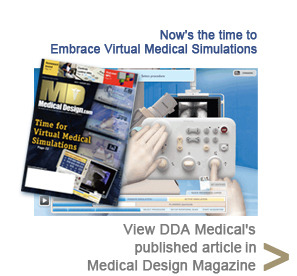 Virtual medical simulations from DDA Medical allow the user to become comfortable with the device by using it in a virtual setting that mimics a real-life environment. When used as part of an advanced eLearning platform, training is further reinforced with preemptive instructional information, which could include a video or textual bullets, making the user more comfortable with and knowledgeable of the device overall. An online virtual medical simulation goes beyond the standard text- and video-based training methods. You can show how the device works, highlight its specific features, and explain why it's better than anything else out there, and then require the user to demonstrate what they've learned through a computer-based simulation. 2D or 3D animation and modeling to show the inner workings of a device, with textual pullouts added to highlight certain areas of interest. Video integrated into the simulation, so that when the user gets to a specific point, they are shown an example and then asked to repeat. Voiceover narration explaining each step of the device simulation and leading the user through it. Separate training sections for nurses and physicians, which focus on the use or part of the device that applies to that audience. 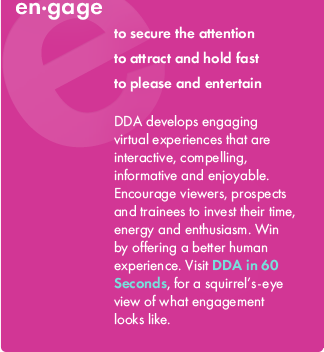 Virtual medical simulation training solutions from DDA Medical can be an important piece of an overall training system, giving physicians and nurses the tools they need for proper and effective use of the device. Computer-based virtual medical simulations provide an additional layer of support for physicians and nurses when it comes to device training. 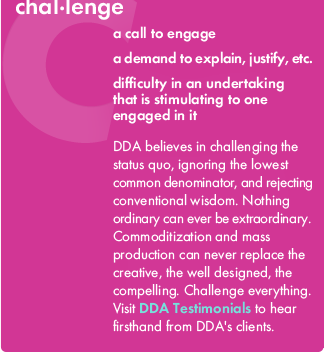 DDA Medical can design the most effective platform, with a full range of services including 2D and 3D animation and modeling, software development, custom programming, website development, and so much more. 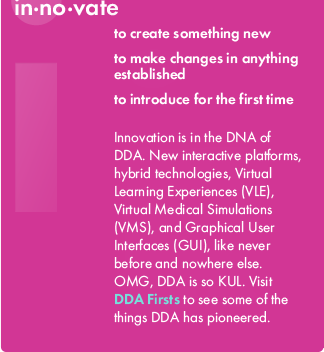 For the best way to train and present your medical device, turn to advanced computer-based simulation solutions from DDA Medical. 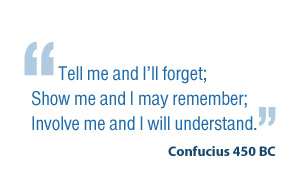 We make even the most complex device easily understood.